Vivian B. Brindley, of Otsego, passed away Monday, July 30, 2007 at her home. Vivian was born January 27, 1931 in AlleganCounty, the daughter of Benjamin D. and Bessie V. (Williamson) Sheaffer. In 1950, she graduated from AlleganHigh School. She loved to travel and for many years she was active in the Otsego 4H and Girl Scouts. On July 29, 1950 she married Arthur N. Brindley who preceded her in death on November 8, 1982. 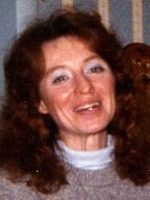 Also preceding her in death were her daughter Pamela Glas in 2004, her son Philip Brindley in 2004 and 9 siblings. Surviving are her son, Paul Brindley of Allegan; her daughter, Patricia (Mike) Allison of Florida; a son-in-law, Ron Glas of Missouri; nine grandchildren, Brian (Melanie) Glas, Melinda Glas, Matthew Brindley, Randall Brindley, Lisa Brindley, Christina Brindley, Andrea Allison, Grahm Allison and Carrie Allison; two great-grandchildren, Samantha and Jackson Glas. Cremation has taken place. A Memorial Service will be held at 2:00 P.M. Friday at the Winkel Funeral Home in Otsego with Rev. Mark Minegar officiating. Private burial of ashes at LindsleyCemetery will be at a later date. Contributions in memory of Vivian may be made to the American Heart Association. Curtis V. Phelps, Jr. of Kalamazoo, Michigan, passed away Sunday, July 29, 2007. Curtis was born August 25, 1946 to Curtis and Florence (Lindsley) Phelps. In addition to his mother, he is survived by his sisters and brothers: Ellen Phelps of Otsego, MI, Nancy (Lee) Huse of Haughton, LA, Robert (Magleen) Phelps of Galesburg, MI, Joel (Kathy) Phelps of Watervliet, MI, Jane Roselip of Plainwell, MI, Louise (James) Phelps of Stonewall, LA and Margaret (Donald) Spencer of Otsego, MI. He was preceded in death by his father and beloved brothers, Larry and Gary. Curtis leaves behind so many loving nieces and nephews. Throughout the years they have given him such happiness and joy. He loved them all and was very grateful for them sharing their time. Curtis has another family. A family of many friends, such extra special people, whom he loved. Steve, Tim, Fi, Charlie, Josie, Bill, Sharon and Vickie are just a few. There are so many people who have shared much of their life making Curt’s life, this community and the world a better place. We love and thank you all. Cremation has taken place. A family graveside gathering will be held at a future date. Please, in lieu of flowers, donations in Curt’s memory may be made to Community Living Options at 626 Reed Ave., Kalamazoo, MI 49001 or MRC (McKercher) at 1310 Bank St., Kalamazoo, MI 49001. 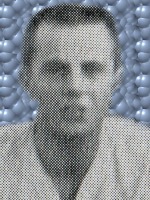 Herbert “Dale” Redder of Allegan went to be with his Lord Friday, July 27, 2007. Dale was born July 14, 1940 in Jamestown, MI the son of Justin and Helena (VanderVeen) Redder. Dale owned and operated a family dairy farm in Otsego from which he had retired. He was a member of Hit/Miss Engines and Fly Wheelers of South Haven and he enjoyed restoring and showing antique engines and tractors. He is survived by his wife of 46 years Anna Marie (Kronemeyer). Also surviving are 3 sons; Larry (Sherry) Redder of Grand Haven, Dan Redder of Lansing and Duane Redder of Holland and his fiance’ Doreen Droski; 4 grandchildren, Alesia, Maria, Colten and Melissa; and 1 great-grandson, Dustyn; 2 sisters and 1 brother, Phyllis (Gerald) Dykstra of Allendale, Alvern (Bonnie) Redder of Otsego and Arloa (Bill) Edwards of Lake Lelanau. Friends may meet with the family Tuesday from 7:00 – 9:00 PM at the Winkel Funeral Home in Otsego, MI and also Wednesday from 10:00 AM until the service time of 11:00 AM at the CalvaryCommunityChurch, 317 – 12th St., Plainwell, MI, Pastor Mark Minegar officiating. Interment will follow at HudsonCornersCemetery, Allegan. Those desiring may make memorial contributions to Wings of Hope Hospice of Allegan. Chester Merda of Plainwell passed away peacefully Friday afternoon, July 27, 2007l. He was born in Chicago, IL on May 19, 1935 to Theodore and Veronica Merdowski. He graduated from KellyHigh School in Chicago in 1954. His career began at Crane Co., Kraml Dairy, and Country Delight, but he then worked for Roadway Trucking until his retirement after 25 years. While working, he resided in the Chicago area, then in New Lenox, IL until his retirement. He chose to move to Michigan to be closer to his children and grandchildren, where he settled near LakeDoster. Chester was a devoted father to his three children and was a passionate family man. Throughout the years, he enjoyed engaging in his children’s lives as well as spending time with family and friends, traveling and cooking. He was preceded in death by his parents and his sister, Tina Senk. He is survived by his children, Chester J. Merda of Plainwell and grandchildren, Jared and Allison; Michael J. Merda DDS (Lisa) Merda of Delton and grandchildren, Nicole, Jacob, Kirk and Connor; Sherrie (Norman) Jenney of Richland; his sister, Marie (Edward) Senk of Oak Forest, IL; his brother, Eugene (Dorothy) Merda of Lockport, IL and his special nieces, nephews and cousins. The family will receive friends Monday, July 30, from 2 to 4 and 6 to 8 PM at the Winkel Funeral Home Otsego, MI with a Celebration of Life service at 7:30 PM Jason Zimmer officiating. A Funeral Mass will be held at St. Margaret’s Catholic Church, Otsego on Tuesday, July 31, 2007, at 11:00 AM, Rev. Father Donald P. Klingler Celebrant. A luncheon will follow at the church. Those desiring may make memorial contributions to A Child’s Right or to the American Diabetes Association. A memorial service will be conducted on Friday, August 3, 2007 at 10:30 AM at St. MauriceChurch, 3615 S. Hoyne Ave., Chicago, IL, Fr. Michael J. Boehm officiating. Timothy J. ‘Tim’ Bowe of Otsego, Michigan, passed away Sunday, July 22, 2007 at his home. Tim was born December 17, 1954 in Kalamazoo to Phillip and Shirley (Wojciehowski) Bowe. For many years he was employed as a maintenance mechanic. He enjoyed building his truck, working on cars, music, target shooting and especially enjoyed spending time with his children. On February 14, 2001 in Coloma he married Christa Linke, who survives. Also surviving are his children, Tina (Mark) Clemons of Pullman, Veronica (Andy) Neuman of Plainwell, Kyle (Kim) Bowe of Otsego, Shaun Bowe of Allegan, Kayla Bowe of Otsego, Michael (Leslie) Clark of Bridgman and Andrew Foerster of Otsego; 12 grandchildren; his parents, Shirley and Phillip Bowe; a sister, Sharon Cremeans; a brother, David Bowe; several nieces and nephews. Friends may meet the family from 5 to 8 P.M. Thursday at the Winkel Funeral Home, Otsego. Cremation will follow. Memorial services will be held at 11:00 A.M. Friday at the Assembly of God Church of Plainwell, with Pastor David Alderman officiating. A private burial will be held later at Mountain Home Cemetery, Otsego. Contributions in memory of Tim may be made to the Kidney Cancer Association. 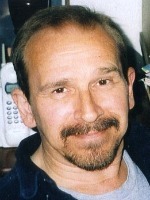 Larry L. Conklin of Plainwell, Michigan, went home to be with his Lord Saturday, July 21, 2007 at his home. Larry was born in Allegan on June 11, 1942. He was 65 years old. Larry lived in Allegan for 48 years and then in the Otsego/Plainwell area for the next 17 years. He leaves behind his wife, Diane K. Conklin; his brothers Gary Conklin and Chuck Conklin; his sisters Peggy Disbrow and Ann Starring; several nieces and nephews. He was preceded in death by his mother, Frances Conklin and his father Wayne Conklin; his sister Wanda Kaake and an infant daughter, Betty Jo. Cremation has taken place. Donations in memory of Larry can be made to Diane Conklin for funeral expenses. 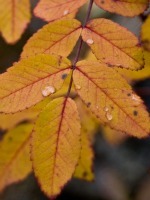 June E. (Foote) Foust of Otsego, Michigan, passed away Friday, July 20, 2007 in Kalamazoo. June was born June 7, 1956 in Allegan, the daughter of Charlie and Nancy (Martin) Foote. June was employed with the Allegan and Plainwell Schools and was a volunteer for Head Start and Even Start. June was active in many local Bible Study groups, with Horizon Circle of Friends and with her neighbors at Baraga Manor. Surviving are 3 children, Priscilla Carson of Plainwell, Rebekah Foust of South Haven and Joshua (Stacey) Foust of Bangor; 4 grandchildren, Isabelle Carson, Marissa and Ricky Butterworth, Kailah Foust; her mother and step-father, Nancy and Ron Hudson of Otsego, her step-mother, Esther Foote of Martin; 3 brothers and 1 sister, John (Christy) Foote of Otsego, Michael (Audrey) Foote of Plainwell, Scott (Amy) Jordan of Grafton, MA, Julie (David) Guthrie of Otsego; many aunts, uncles, nieces, nephews and cousins. 2 special friends, Helen VanderHoff and Mardean Sternberg. She was preceded in death by her brother, Tommy Foote, her father Charlie Foote, grandparents, Ed and Isabelle Martin and Ray and Beatrice Foote. Cremation has taken place. Friends may meet with her family on Wednesday at the Plainwell Assembly of God from 12 noon until the time of service at 1:00 P.M., Pastor Dave Alderman officiating. Donations can be made toward the family’s funeral expenses, envelopes available at the church. 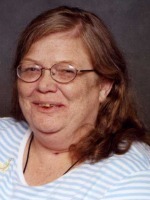 Pamela Ann Reed of Otsego, Michigan, passed away Tuesday, July 17, 2007 in Byron Center. Pamela was born October 31, 1951 in Dowagiac, the daughter of Robert and Joyce (Peck) Stephenson. She taught over 20 years at the Grand Rapids Central High School and for 10 years was the Early -on coordinator at the Allegan County Intermediate School District. She was a member of the United Way. Pam loved to spend time with her grandchildren. On July 12, 1990, in Cassopolis, she married Roxy Reed, who survives. Also surviving are 3 children, Robert Adams of Grand Rapids, Marion Cutts of Otsego and Joyce Mason of Grand Rapids; 8 grandchildren; her mother, Joyce Stephenson; 3 sisters, 2 brothers, several aunts and uncles. Preceding her in death were her father and a son-in-law, Riley Mason, Jr. Friends may meet the family from 12-2 & 5-7 PM Friday at the Winkel Funeral Home, Otsego. Cremation will follow the visitation. A memorial service will be held Saturday at 11:00 AM at Hope Lutheran Church, 290 12th St., Plainwell, Pastor Lynn Fonfara officiating. Memorial contributions can be made to The Allegan County Animal Shelter. 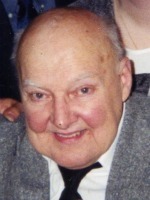 Raymond H. Quarry, of Otsego died Thursday, July 6, 2007, at his home. Mr. Quarry was born August 24, 1936 in Kalamazoo, the son of Ralph and Pearl (Henrickson) Quarry. Ray enjoyed hunting, fishing and camping. He began working for the MacSimBar Paper Mill later known as RockTenn, retiring after over 32 years. He was a member of the Moose Lodge. Surviving are a son, Larry Quarry of Holland and a daughter, Brenda (Stan) Weymouth of Wyoming; 2 grandsons, Michael and Matthew; siblings, Robert (Beryl) Quarry, Gilbert (Sue) Goucher, Joyce (Ron) Mann, Aleta (Leroy) Enos; many nieces and nephews. He was preceded in death by a son Ken and a brother Donald. Friends may meet with the family Monday from 2 to 4 & 6 to 8 P.M. at the Winkel Funeral Home in Otsego, MI where services will be held Tuesday at 11:00 A.M., Funeral Celebrant William Rose officiating. Those desiring may make memorial contributions to the American Heart Association. where services will be held Monday at 11:00 A.M., Funeral Celebrant, William Rose officiating. Military graveside honors by VFW Post #3030 will be held at Mountain Home Cemetery, Otsego. Those desiring may make memorial contributions to the Diabetes Association or to the Kidney Foundation.